I have confessed to contributing to self-fulfilling prophecies: if you do not commit to something/one because s/he/it may not be around for long, s/he/it probably will not be around for long. So how do you invest yourself in something when the producers have a left a wake of unfinished and canceled projects? Is any of the old AC2 team going to be on this project? A different set of developers yields a very different game. Granted, given the commercial success of the original, changes might not be a bad business idea. How do I go about reclaiming an Asheron’s Call account that has been lying fallow for perhaps a decade? Since we are going this way now, let’s get Asheron’s Call and heck even Asheron’s Call 2 running on the same model. The return of AC2 is an appealing notion. If that happens, I need a way to reclaim an old account with just the associated e-mail address (not the log-in name). I never made that Lugian Tactician. I also have an old AC1 account in storage; I might remember the account name on that one. I checked on a lark, and yes, AC2 Vault is still live, in case you need a guide through the Naderu Vault. Any other fan sites still going? I suppose we will always have the Internet Archive anyway, but it helps to have the URL you want to check. 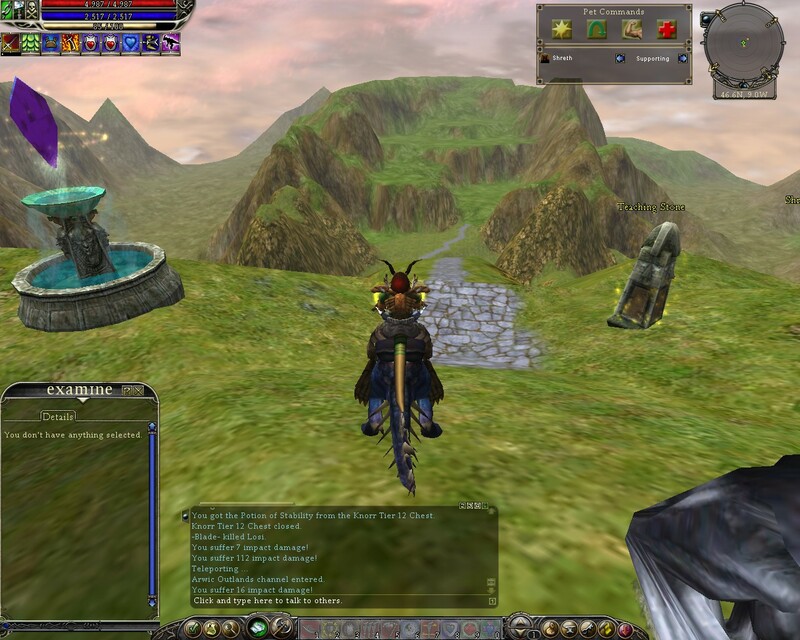 Another flashback of Asheron’s Call 2. You’re welcome! The following is a quest that a group of players (including me) in Turbine’s Vanguard program helped to create and which was put into the game. The Vanguard program was a developer selected group of players that were given early access to new content on the test server, as well as having a forum with direct developer contact for feedback. They placed special Dillos in the game, which were named after the players that were involved in creating this quest. I was one of them, it was quite surreal to go see my NPC in the game.